Some of my co-workers weren’t used to the Google Chrome interface and were a little freaked out that there wasn’t a special area where they could manage their bookmarks. They wanted to know where to go to delete or edit a bookmark. Here’s how it’s done. While visiting the page you would like to bookmark, select the star on the right side of the URL bar. Edit the “Name” and “Folder” as desired, then select “Done” and your bookmark is saved. 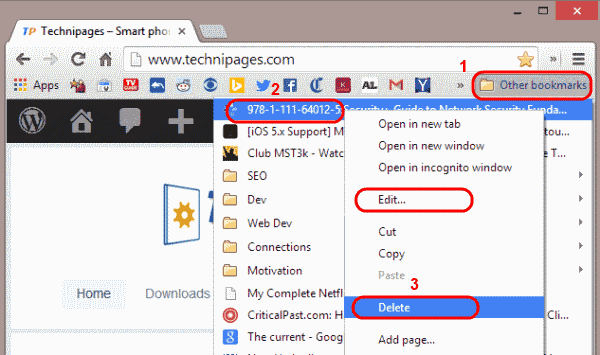 Select the double-arrow on the bookmark bar or “Other bookmarks” depending on where your bookmark is located. Right-click the bookmark, then choose “Edit“, “Delete“, etc. as desired. Select “Menu” > “Bookmarks” > “Bookmark manager” then edit and delete bookmarks from there. While visiting the page you would like to bookmark, select “Menu“, then select the star locate at the top right portion of the screen. Modify the “Name” or “Folder” as desired, then select “Save“. Select the star at the bottom of the screen. 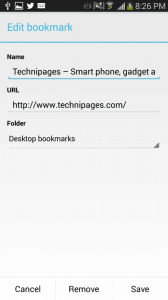 This will show you your “Mobile bookmarks”, which are the only bookmarks you can edit or delete from your mobile device. Tap and hold the bookmark you wish to edit or delete. A menu appears. 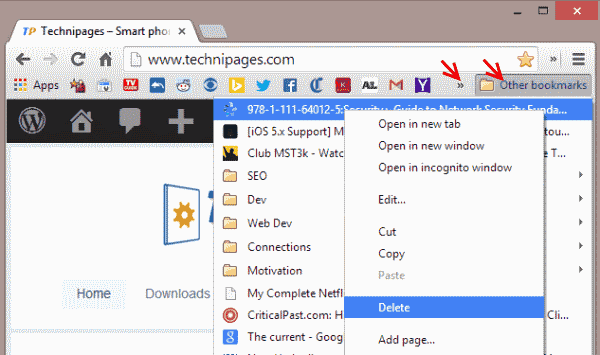 Choose “Edit bookmark” or “Delete bookmark” as desired. You Android instructions are obsolete. Chrome v 71.0.3578.99 for Android does not include a “star at the bottom of the screen” under settings > bookmarks. Not even in the mobile Bookmarks folder. The only place to edit a bookmark is from the “three dots” menu item next to each bookmark, and they ONLY appear on bookmarks that were created on the phone itself. 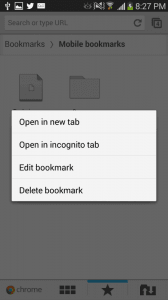 They do not appear on ANY bookmarks sync’d from other locations (Desktop, or even other mobile Chrome instances connected to the same Google account). 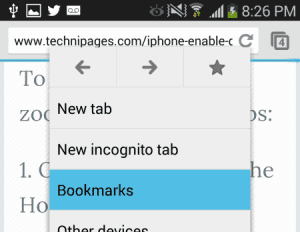 In short, the only bookmarks you can edit in Chrome for Android are those created ON the mobile device. Firefox does not suffer this ridiculous limitation. I want to know how to create a bookmark folder in Chrome on my Galaxy S6 phone. Doesn’t help at all. I want to arrange the order of my mobile bookmarks so that those I need to access most often are at the top. Come on Google. This should be a priority for heavy phone users. I signed in on a friend’s computer. Now all my bookmarks are mixed with his. How do we delete my bookmarks? If you’re running Linux, you shouldn’t need a tutorial on managing bookmarks. And Linux? Chrome does run on Windows, Mac & Linux desktops.